Proposals with great citizen impact, quick routes to success and repayment, and concise explanations of how to achieve their goals are likely to win the remaining dollars in the Technology Modernization Fund (TMF), according to representatives from the General Services Administration (GSA) speaking at a workshop held June 8. The TMF is the central fund supporting IT modernization authorized by the Modernizing Government Technology (MGT) Act. The TMF board on June 7 announced that three winners had received $45 million of the $100 million prize pool. 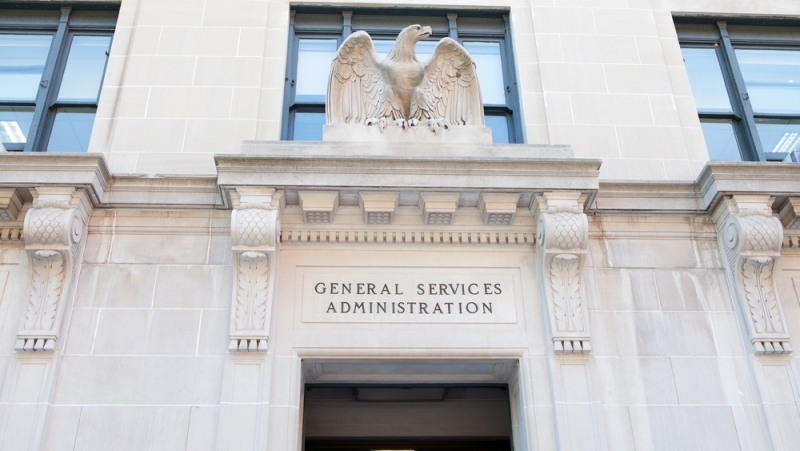 The next day, GSA–the custodian of the funds–hosted a webinar to discuss how agencies can win a piece of the remaining $55 million. Alan Thomas, commissioner of GSA’s Federal Acquisition Service and a member of the TMF board, said agencies need to be very explicit in their proposals. “One thing I hope to emphasize in this workshop today is that your initial project proposal needs to really sell your project in a way that intrigues the board, gets them interested, and outlines enough of your approach that they feel like you know what you’re talking about,” said TMF Executive Director Elizabeth Cain. She said there will be further avenues to get into the technical details, but the initial proposal must emphasize the broader picture first. With that in mind, Cain broke down the elements of the TMF proposal–five simple sections–and outlined how agencies can put their best foot forward and move on to the later rounds. Here’s your guide to nailing the pitch. Section 1–Describe how the project fulfills your Agency’s mission, identify the problem this project solves and how successful execution of this project solves the problem. Cain recommended bringing the citizen-facing elements to the foreground in the first section and articulating how the project creates citizen impact. That may be easier to explain for a customer portal than a cloud email migration, Cain said, but tying any proposal to the eventual outcome for citizens will lead to better potential success for agency proposals. Section 2–Provide an estimation of the TMF funding request and the method used for cost estimation. If less than the estimated total project cost, also state the estimated total project cost and how you intend to repay the TMF. Cain said the default reimbursement method is offsets in agency budgets but noted that there is flexibility to create a plan with different parts of the agency other than IT contributing to reimbursement. She also described the repayment schedule: the first payment is due one year from the first transfer of TMF funds, and the final payment is due five years following the final transfer. Agencies won’t be blindsided with a due date on a large lump sum, she said. Section 3–Describe the key metrics for success and your suggested initial milestones for implementation, including the deliverables, anticipated completion dates, and other criteria through which you will demonstrate that your intended milestones were met. This section of the proposal calls upon agencies to use agile development methodologies to segment their approach to success in projects. Cain said agencies can use the proposal to identify one increment in a larger initiative, and request funding for that specific increment of the initiative. Section 4–Describe why the project will succeed, citing examples such as (1) executive level support for this effort, (2) the strength or experience of the team, including any agency digital service experts, other agency development resources, the availability of contractor support, etc., (3) the preparedness to begin executing this project, and/or (4) other relevant factors that will demonstrate the likelihood of project success. “This would be a great place to share if you have a pilot project either completed or in the works or if you have a Minimum Viable Product already developed,” Cain added. She said that articulating how the solution will be adopted is also important. Section 5–Describe why the Technology Modernization Fund makes sense for this project and how the approach you are taking for this effort is different than what you have previously attempted. Cain said agencies can shine here by articulating how the project aligns with the TMF’s goals–citizen services, quick wins, broad usability and cross-functionality across government–and also describing why this particular funding method makes most sense for the project. Back to the TMF Board member for some closing thoughts on the in-person presentations that agencies will make to the board if they succeed in following all of these guidelines and their proposals are selected. Thomas said the Department of Energy–one of the three initial winners–was able to shine using a somewhat novel approach.